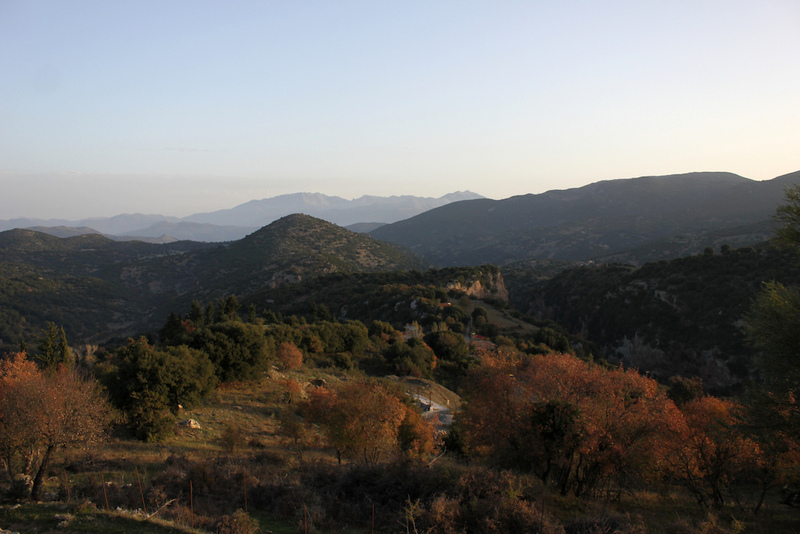 Arcadia, home to Pan, God of the Wild, was the setting for the 5th and final round of the Enduro Greek Series. With Pan known to haunt the high hills, on a lonely race run, racers could feel him laughing mischievously down their backs. Speeding through the very groves that nymphs had once ran and chasing their way along ancient shepherd trails that have laid across the land for 1000's of years, riders would eventually descend into the security of the race village, thankful that Pan had allowed them safe passage across this wild and rugged terrain. 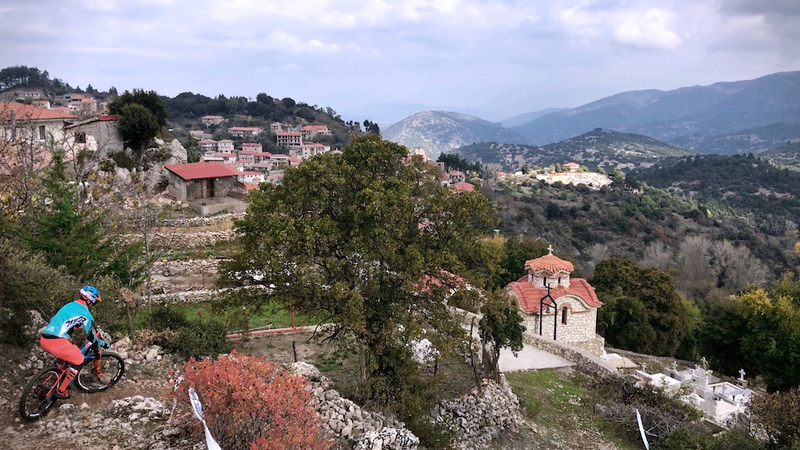 Looking out from the peaceful village square of Valtesiniko where the race village was situated, it’s hard to imagine a half goat, half human god chasing folk across the hills, protecting his beloved flocks. 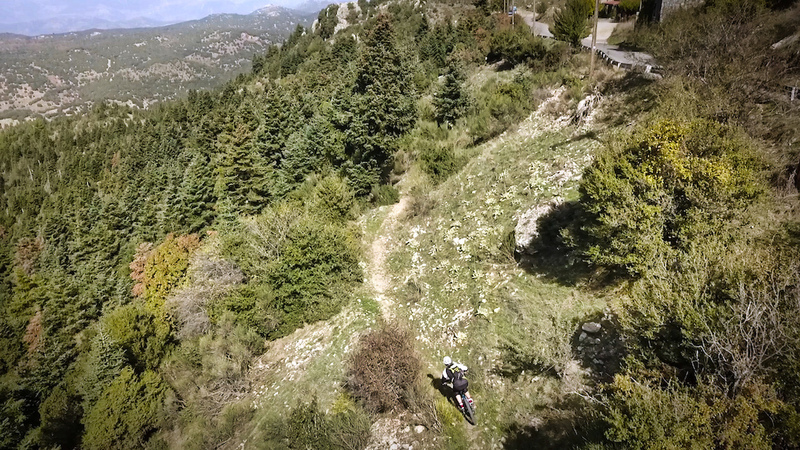 As with the sound of fresh spring water bubbling in the background, riders were treated to views of pine covered mountains, huge rock masses and deep gorges. 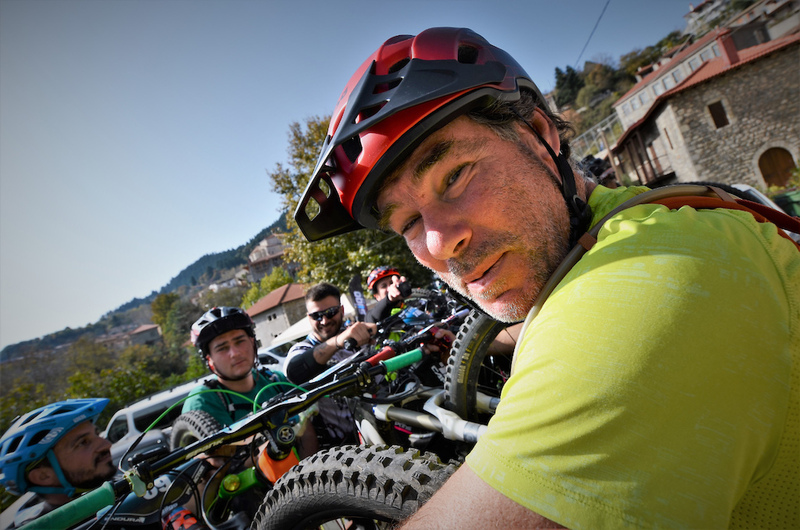 The smell of fresh mountain food filled the streets from the local taverna and as the racers arrived, you could sense the excitement of getting out and exploring the wild and relatively unridden region. 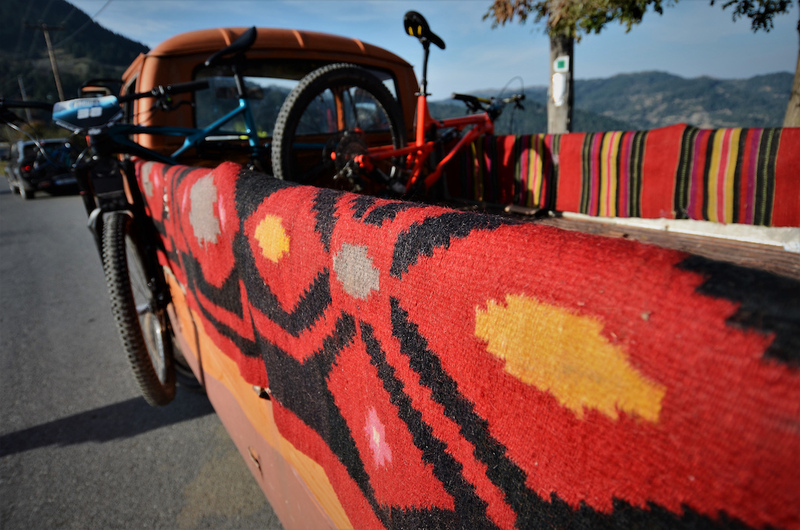 When race day came, riders climbed into the back of an eclectic collection of farmers pickups and VW wagons, to be taken up to the start of stage 1. As you sat at the gate staring the course down (or up in this case), you might have wished you’d actually ridden up, as you were immediately faced with an uphill sprint, making cold legs feel like they could sink to the bottom of the Aegean. Then just as your lungs were ready to explode, you dropped down the side of the hill, twisting and drifting over marble like loose rock in every turn. Another quick uphill sprint, then a loamy, fresh cut off camber run down to the finish. Bouncing off the volcanic rocks that pierced through the top soil, keeping you on your line and stopping you from sliding down the hillside. Climbing up the tarmac towards stage 2, looking down over neighbouring village Magouliana, riders had started to take their places. Unknown to me, I'd managed to pull off an early lead, with series leader Elisaios Gouvis sat in 2nd a few seconds behind and Thodoris Bougioukos in 3rd. It would be the start of tussle to the end. 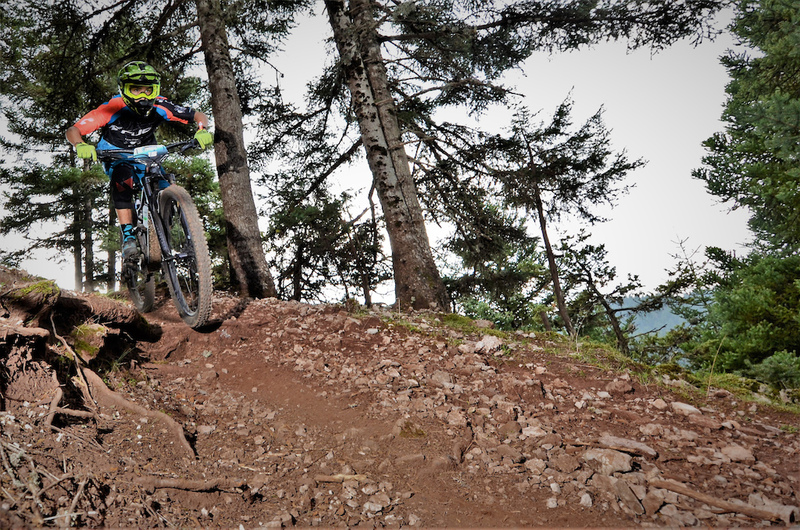 Stage 2 immediately sent you into steep, off camber loose rock. Fighting to not drift under the tape, you were spat out onto a rocky double track, with a flat out sprint down towards a sketchy bus stop. You couldn't let the nerves get you, you needed all the speed you could handle to carry you through the flatter mid section. After a day of practise the dry loose dirt had washed out in several places. Staying pin point on your line was critical, as once you were off, there wasn’t much chance of getting back on. A slight deviation and it was a face to face visit with a weather hardened bush, or worse, a boulder rock. With the steep and technical stage 3 behind us and at the top of the longest climb of the day, the racers were now sat at the gate for stage 4, the final stage. I’d dropped back into 2nd, Bougioukos had had trouble with traffic and was sat a few seconds behind me and Gouvis had started to show his dominance with an 8 second lead. But it was still all to play, everyone hoping Pan was distracted else where in his mountainous play ground, allowing them one good run to finish the day on a high. There had been talk all weekend about how this place runs faster in the wet. With the rumble of thunder and a change in weather looming over the adjacent mountain, it looked like there was a new card being dealt for those of us starting at the back. If the rain came, was it going to be to our advantage? Gouvis was safely back at the race village, as me and Bougioukos dropped in on our final runs. The rain never came. 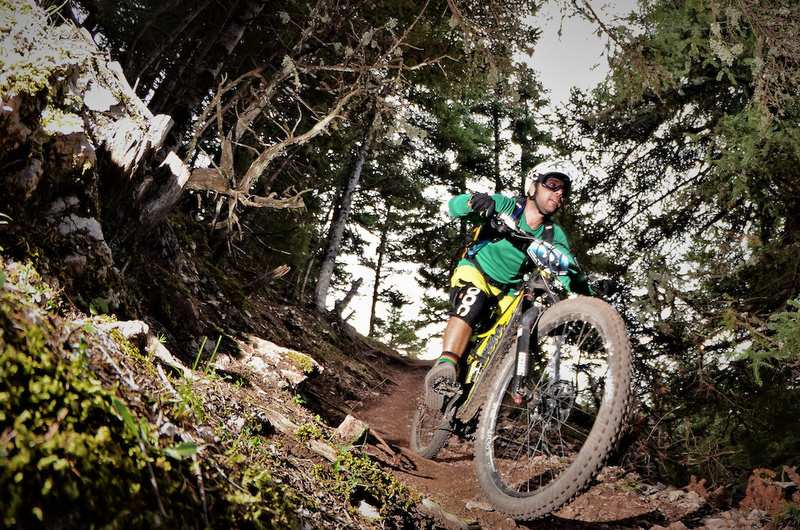 Stage 4 was a banger, super fast and exposed as you popped in and out of forest clearings. Chasing round the small couloirs, the rocky mountain side dropped away on your left, reminding you you were in big mountain territory. Carving through the off camber, you finally dropped back into the top of the village. It wasn’t over yet though, a short road sprint led into a super fast rock chute and straight into a hard left. The loose rock and boulder on the exit claiming many over zealous riders. It was then a hard pedal to the finish. 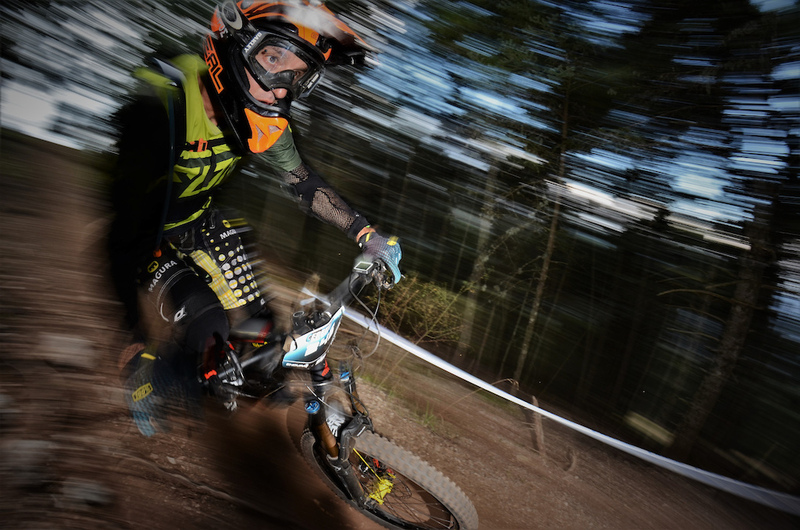 Gouvis had continued his consistency to take another stage win, putting more than 10 secs into 2nd place Bougioukos. Pan had decided not to allow me safe passing on this final stage and I flatted near the top, to limp home more than a minute off the pace. As riders rolled into the race village tired and some beaten, cold regional Menalon beer was handed round and greasy souvlaki were devoured, replenishing the much needed calories from a day spent in the playground of the God of the Wild. Gouvis had all but dominated taking 1st, Bougioukos had picked his way through the back markers into 2nd and Xenofon Mpoumparis came home to take 3rd. In the women’s race Vasiliki Lazopoulou had come home with a clear win over Konstantina Protogerou. Gouvis’ win had secured the series title for him also, Danis Karamichailidis of Sick n' Destroyed kept his 2nd place standing and Alexandros Papageorgiou secured the 3rd step to round out the overall standings from an exciting first year of the EGS. Congratulations on an awesome season guys ???? @haristheodoropoulos: Throwing out a pre Whoosh. 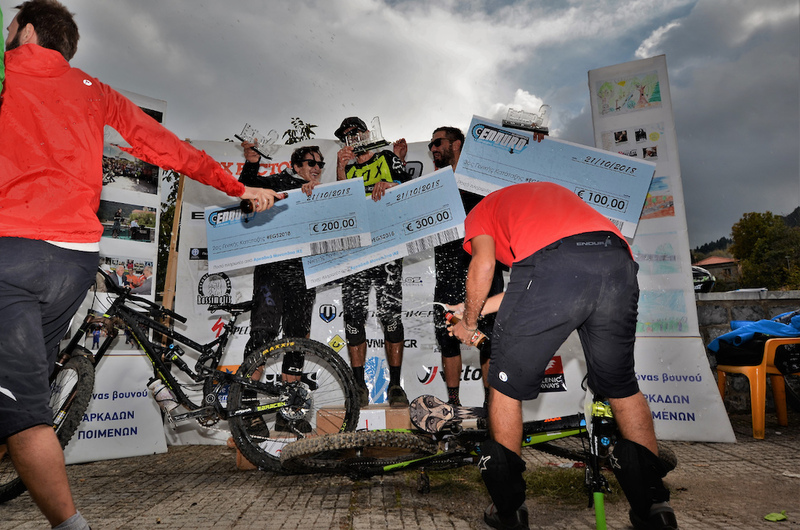 All the season in Enduro Greek Series was unique!!!!!!!!!!!!!!!!!!!! And awesome dudes!!!!!!!!!!!! Wow! 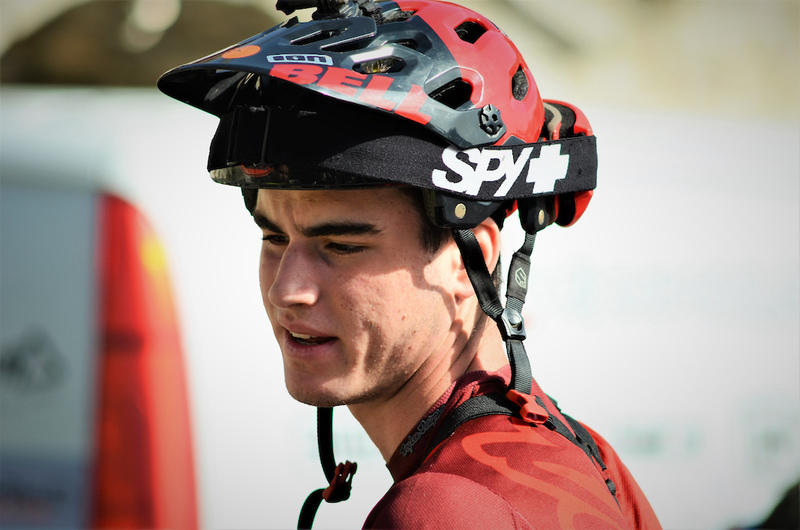 I never thought I'd see a local race report in pinkbike. Thank you for this. Excellent final race of an excellent series congrats to everybody that worked really hard to make it happen. #EGS F@ck yeah! ??????? ?Well done everybody! ??????? ?